This was also to commemorate World Environment Day which was celebrated annually on June 5. DHL – Nadi operation supervisor Kritesh Narayan said because of their busy schedule, they had to delay it to yesterday. He said their voluntary environmental service was done every year by the DHL team worldwide. “A total of 34 people were at the place. It’s not only the staff, family and friends also turned up to do some clean-up, we engage them in some team activity. “We do this every year; last year we also did it at the same place,” he said. They are also looking at the global volunteer day where they select the places that need maintenance and provide service. Last year they held such a programme in Masimasi Primary School. 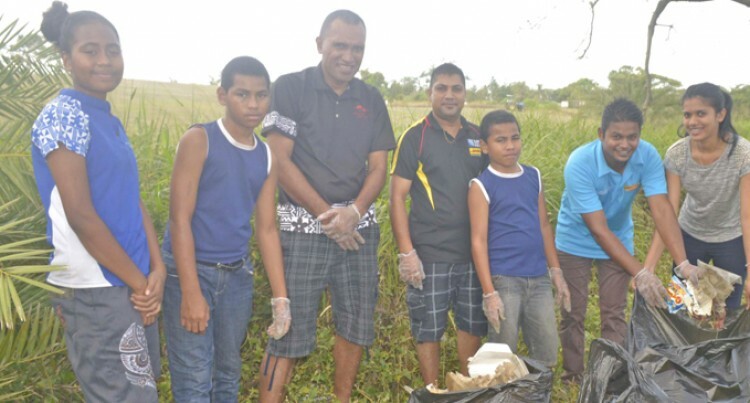 The DHL team in Suva is also conducting the clean-up where they will be re-planting mangroves and cleaning at My Suva Picnic Park.